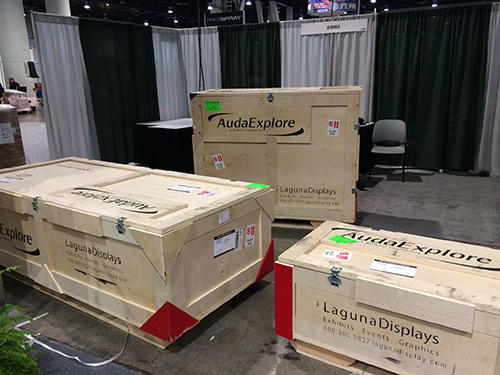 Laguna Displays can transport your exhibit anywhere in the world with our global network of logistics partners. Whether a small airfreight package of graphics going directly to show site or a larger crated exhibit to the shows advance warehouse, we can provide you with peace of mind that your exhibit will arrive safely and on-time. We also provide international freight forwarding services and can help you with customs documentation for different countries around the world.